Patola means “Queen of Silks”. The Patola Silk Sarees are one of the finest varieties of handloom silk saree from Gujarat. Patola sarees are woven with great clarity and precision. They are well known all over the world for their highly delicate patterns. These sarees are woven by master weavers on a special type of silk called ‘Patola Silk’. Geometric designs with folk motifs and flaming colors are characteristic features of Patola sarees. Each Patola saree reflects the skill and imagination of the weaver and is exclusive by nature. Patan and Surat are famous destinations of Patola sarees. Patan, the place in Gujarat, is well known for its Patola saree. The art of Patola sarees flourished with the arrival and settlement of Salvi weavers from Karnataka and Maharashtra in Patan under the patronage of royal Solanki Rajputs and affluent people of Gujarat. This dates back to the 12th century. The historical evidences determine that Patola sarees have been made since at least the thirteenth century and have always had aristocratic or ritualistic associations. The walls of some south Indian temples, such as at Mattancheri (Kerala) and Padmanabhapuram (southern Tamil Nadu) contain eighteenth-century depictions of Patola designs. Patola sarees have evolved from the days of sultanate reign and era of royals and confined to Gujarat for an acclaiming stature as one of the finest pieces of fabric and works of art. Gujarat is believed to have exported Patola sarees to South-East Asia since at least the fourteenth century. The later development and expansion of Patola weaving is also traced in the historical evidences. This depicts that after the fall of Solanki dynasty, the wealthy Gujarati merchants patronized the Salvis. Gradually the Patola sarees became a status symbol with Gujarati girls and became an essential part of the women closet. 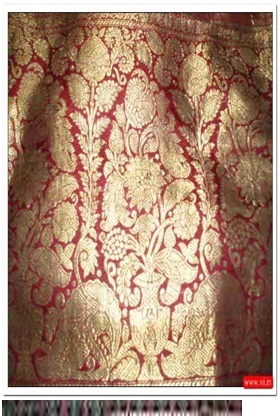 Traditionally created by the Hindu Salvi caste and traded to South–East Asia by the Muslim Vohra community, this costly and high status oriented Patola sarees were worn by the Vohras and well off Jains and Hindus (Brahmins and Bhatia traders) for weddings and other propitious occasions. The sarees became symbol of status and part of wedding brocade dresses and from then on, are regarded as best pure silk bridal wears. What are Patola sarees ? Patola sarees are a treasure collection especially for women all over the world. Handloom silk saree and Khadi silk apparels from India have their own appeal to various classes of people all over the world as they are used by various fashion designers as their base work. It was very difficult to get hold of an original Patola saree as they are woven by handful of weavers only and are not abundant as South Indian silk sarees or printed silk sarees. Patola sarees are beautiful that can be used for formal occasions even. Apart from its beautiful look many women like to wear this saree to satisfy their status need. Double ikkat type of Patola saree made in patan is very difficult to produce. The procedure involves great care and skill. In double ikkat type of sarees both side of sarees have a same look so women can wear it from any side. Women who have allergic to colors can use these sarees made up of natural colors. While the Rajkot variety are single ikkat and vertically resist dyed, the Patan variety is double ikkat pattern and horizontally resist dyed. 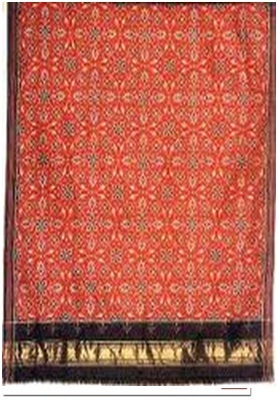 The Patan Patola is done in the double ikkat style, which is perhaps the most complicated textile design in the whole world. Both sides of the saree have the same design and can be draped in either way. This makes a unique combination of art silk sarees and printed silk sarees. The price of these sarees is very high. A few people can afford to buy these sarees. Thus, due to its high price it has become matter of status to wear these sarees. The most difficult method of making Patola sarees can be seen in Sadvi Wada. Formally people of this area were producing Patola sarees for high class peoples and now only one family is producing this type of sarees. You can wear this saree on formal occasion or wedding occasion to enhance your look and status. The Patola saree is one of the finest hand-woven sarees produced today. Patola silk sarees are the pride of Gujarat. These sarees are created by using the resist dying technique. There are two types of Patola sarees. Rajkot Patola: This is only vertically resisting dyed (single ikkat). Patan Patola: This is horizontally-resist dyed (double ikkat). Patola sarees are known for their flaming bright colors and geometric designs interwoven with folk motifs. Every Patola saree is one of its kinds as it is created entirely with the imagination and skill of the weaver. Patola sarees are woven from silk called the ‘Patola silk’. The Patola silks are still made by a handful of master weavers from Patan and Surat known best for their zari work. Patola sarees are the hand made sarees which are produced in the large quantities in Patan. Even Surat has become much more famous for producing Patola sarees. Patola sarees are famous for its delicate, beautiful and clear pattern which is done with great accuracy and skill. Patola sarees are made with handlooms and so according to its design and pattern it takes time for producing this sarees. These sarees have intricate five-colour designs, resist-dyed into both warp and weft threads before weaving, resulting in a completely reversible fabric. The weaving is done on simple traditional handlooms. Each fabric consists of a series of warp threads and a single weft thread, which binds the warp threads together. Each one of the warp threads is tied and dyed according to the pattern of the saree, such that the knotted portions of the thread do not catch the colours. The result is that both sides of the saree look exactly alike as if it is printed on both sides with the same design, and can be worn either way. Patola sarees are the most time consuming and elaborate sarees created in the western region. These sarees are created with great precision, exactness and perfection by the artisans of the western region. Depending on the complexity of design and length, a Patola saree takes 4-6 months for completion. If the design of this saree is very hard and if the length of saree is more, then it may require more skill and more time to produce it. Among the Vohra Muslims, a version of Patola sarees is used as their wedding sarees. The Maharashtra Brahmins wear Nari Kunj sarees of plain, dark colour body and the borders of the sarees are embellished with women and bird motifs. Moreover, the Patola sarees are extensively used in each region for the variations and the designs they manifest. As the tradition exemplifies, the sarees have attained a great position in the list of Indian traditional sarees. The dyes used for colouring the Patola sarees are made from vegetable extracts and other natural colours. The color durability of this saree is very high. Color of this saree will never become pale even if you wash it many times. 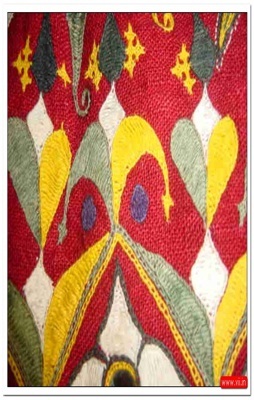 Now-a-days, both vegetable dyes and chemical dyes are used to exuberant the new geometrical designs. Patola silk sarees with bright colours are also enriched with Zardosi and Kundan sequins. There are many shops from where you can buy Patola sarees of latest fashion. Even with the help of internet you can get online information about this sarees. 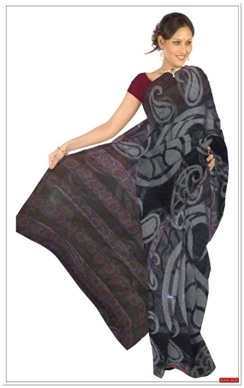 With the arrival of various online shopping portals, finding a Patola saree has become easier. These portals have huge collection of traditional brocade sarees and special Patola sarees with Zardosi or Kundan sequins and even offer matching blouse pieces. I am interested in your patola saree shown under the heading ” Types Of Patola Sarees “and above the heading ” High Priced Patola Sarees” This Saree is in gold with red back ground. May be some saree in white back ground and the saree should be sophisticated and elegant. Please let me if you have a show room in delhi or Mumbai where I could select the sarees. It will be nice if you could also let me know the range. i m manufacture of handloom rajkot patola sarees. if u interested to our rajkot patola sarees pls contact to me. I am intersted for your patola sarees, plz give deatails for your proudct, I have to plan start SP silks and readymade show room in our place. So please give your complete deatils of the your product. Can u suggest any reliable shop at ahmedabad where i can get one?? please help with the location of the silk mark expo in mumbai starting from 24 october to 29 october 2013. Sorry, this year there is no Expo at Mumbai! There is no fixed price of patola saree. It could be varying from 5000 to 50000 depending on weave, design etc. I am Registered artisan in office of the development commissioner(H) in India manufacturing single and double Ikkate patola saree. I also can make some oldest patterns,like narikunjar,navratan.ETC. we are manufacturing and selling of pure silk base single ekat and double ekat patola saree. I am manufacture of handloom items of rajkot patola sarees like traditional patola,fancy patola, patan patola etc are available in our shop. If you like patola shopping than contact me.